Searching for reliable Everson heating services? Contact the trusted professionals at Eagle Plumbing & Heating at (360) 318-9999. Click here for discounts and savings. The skilled professionals at Eagle Plumbing & Heating provide an assortment of quality heating services to the residents of Everson and the surrounding areas. Customers can contact us for emergency repairs and brand-new installations to ensure that their interior climate remains comfortable all winter long. Our professionals are licensed to work on a wide variety of heaters and furnaces and we also provide thorough maintenance services in order to guarantee the continued efficiency and optimal functionality of your system. 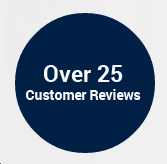 Click here to read reviews from other customers in your area on our exceptional services. What are the benefits of installing a new heater? As heaters age they start to become less efficient, having to work much harder to produce a suitable temperature throughout your home. If you notice a steady increase in your monthly energy costs and issues with your heater become more frequent, it is normally in your best interest to have the entire unit replaced. Investing in a new heater for your residence will reduce the need for multiple repairs and ensure that your home is heated thoroughly without the complications that can sometimes come from using an older unit. A malfunctioning heating system can lead to serious problems that could damage your property and put you and your family at risk, which is why the professionals at Eagle Plumbing & Heating encourage regular service visits in order to prevent a potentially dangerous situation. Regularly scheduled inspections help to determine if repair or replacement services are needed and will increase the longevity of your current unit. The installation of a brand-new heater will not only guarantee maximum comfort during the colder months of the year, it can also help to improve indoor air quality, creating a healthier environment for you and your loved ones. Our knowledgeable professionals will help you to choose a safe, effective, and affordable heating system tailored to the specific needs of your home. The average lifespan of a typical heating system is approximately 15 years, which can vary depending on how often the unit is used and whether or not it was taken care of properly. Most heaters will last 20 years or longer with routine maintenance and regularly scheduled cleaning services. If it highly recommended that you have your heater inspected at least once a year by the skilled professionals at Eagle Plumbing & Heating. Scheduling an inspection in the late spring or early autumn will give you enough time to have any issues corrected before the cold weather sets in. What are some easy ways to save on heating bills? For specialized heating services in Everson and the surrounding areas, get in touch with the skilled professionals at Eagle Plumbing & Heating. Call us today at (360) 318-9999.